THE Oldham Boxing and Personal Development Centre played a major role in the recent success of newly-crowned IBF World bantamweight champion Paul Butler. Ellesmere Port ace Butler gained a split-decision victory against former champion Stuart Hall in an enthralling battle at the Metro Radio Arena in Newcastle. evidently helped Butler to capture the title glory. The sessions were intense at times but incredibly, the 16-year-old held his own against the future world champion. Cawley, this year’s ABA boys’ club class ‘B’ national champion, admitted the experience meant a great deal. 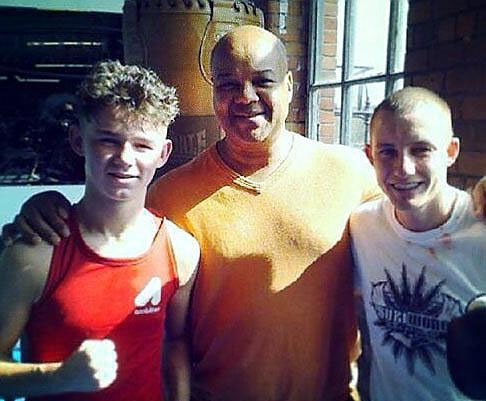 The Oldham Boxing and Personal Development Centre gym, on Greaves Street, continues to go from strength-to-strength. The centre is one of only two Clubmark-ranked clubs in the North-West, and five nationwide.